Contributed by slightly "off" colleague Brian. I seriously question their sincerity! 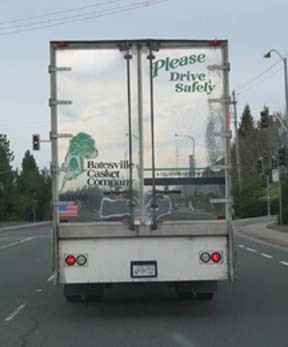 Can you imagine the business they would loose if everyone did drive safely? I wonder if their stockholders know about this?